From Port Charles cop to dog show judge? Yes, that’s the assignment for “General Hospital’s” Ryan Paevey (Nathan West), who stars in the Hallmark Channel original movie “Unleashing Mr. Darcy,” airing Saturday, January 23 at 9p. 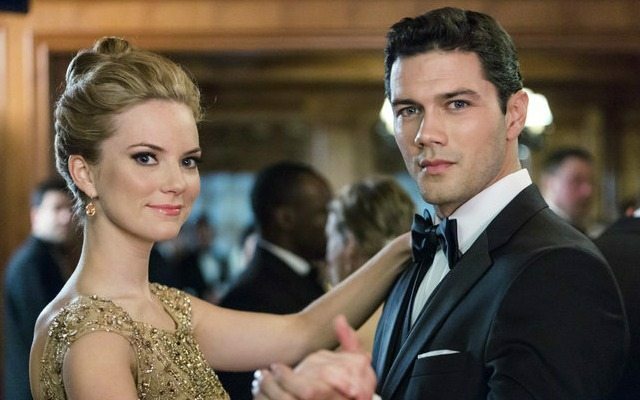 A modern day spin on “Pride & Prejudice,” the movie tells the story of Elizabeth Scott (Cindy Busby), a young woman searching for direction in her life. When she gets the opportunity to professionally show her Cavalier King Charles Spaniel in a fancy New York dog show, she takes it. That’s when she meets Donovan Darcy (Paevey), a dog show judge, who immediately comes across as aristocratic and rude. A chain of misunderstandings unfold during the competition, complicating Elizabeth and Donovan’s mutual attraction to one another. However, in true Jane Austen fashion, the couple eventually see the error of their ways. It turns out Mr. Darcy is much kinder and interesting than Elizabeth ever imagined. The movie also features another daytime alum, Frances Fisher, who played Deborah Saxon on “The Edge of Night.” Fisher plays Paevey’s aunt, Violet Darcy.